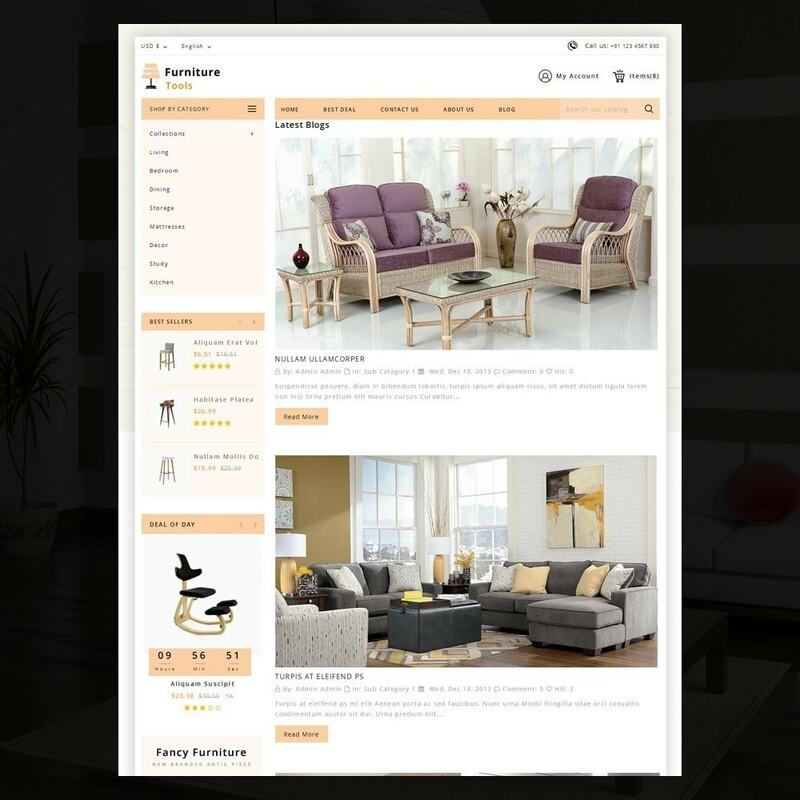 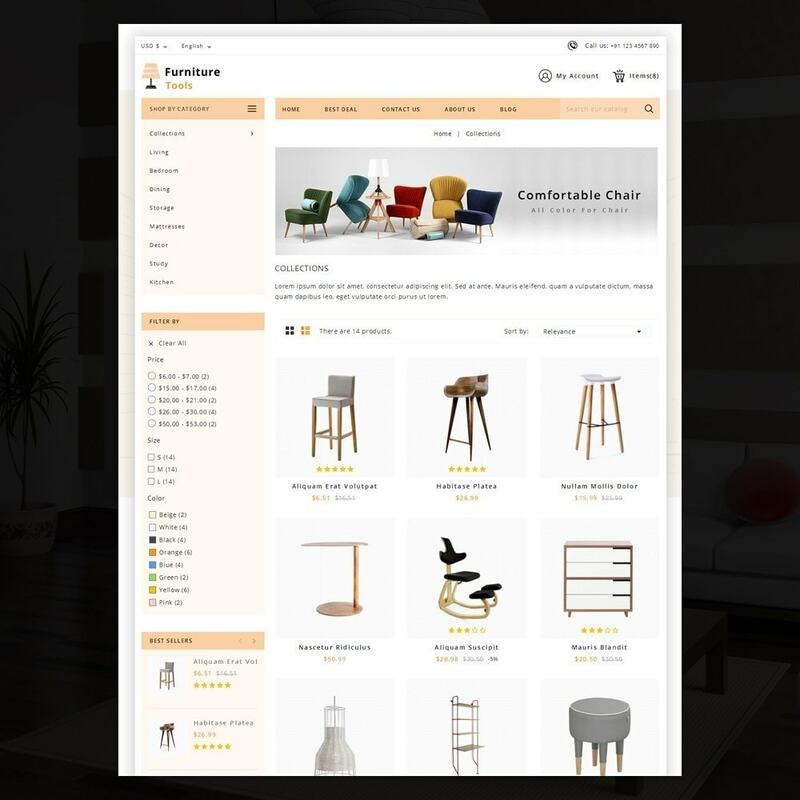 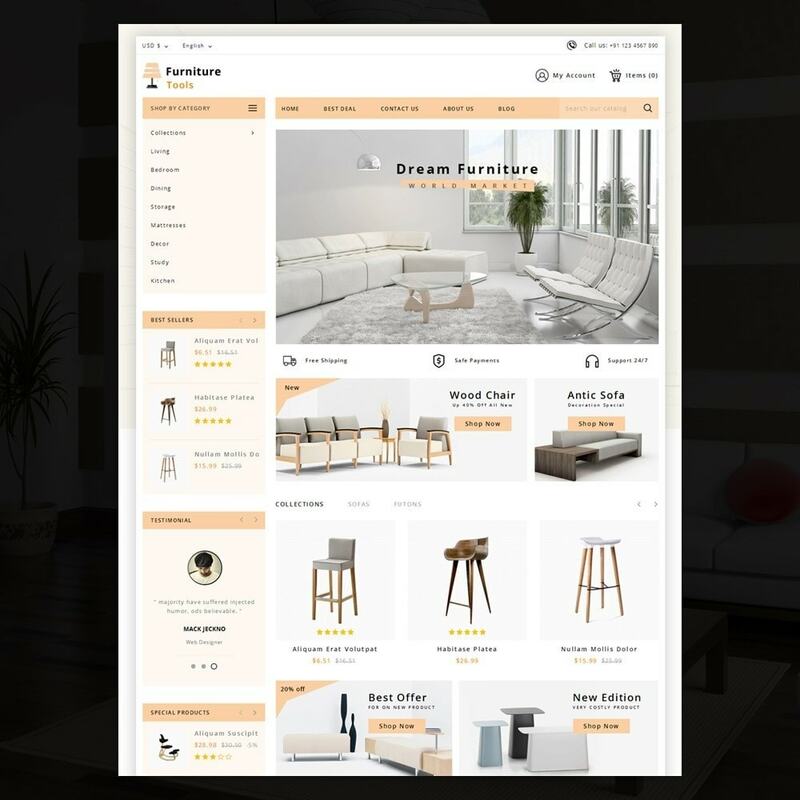 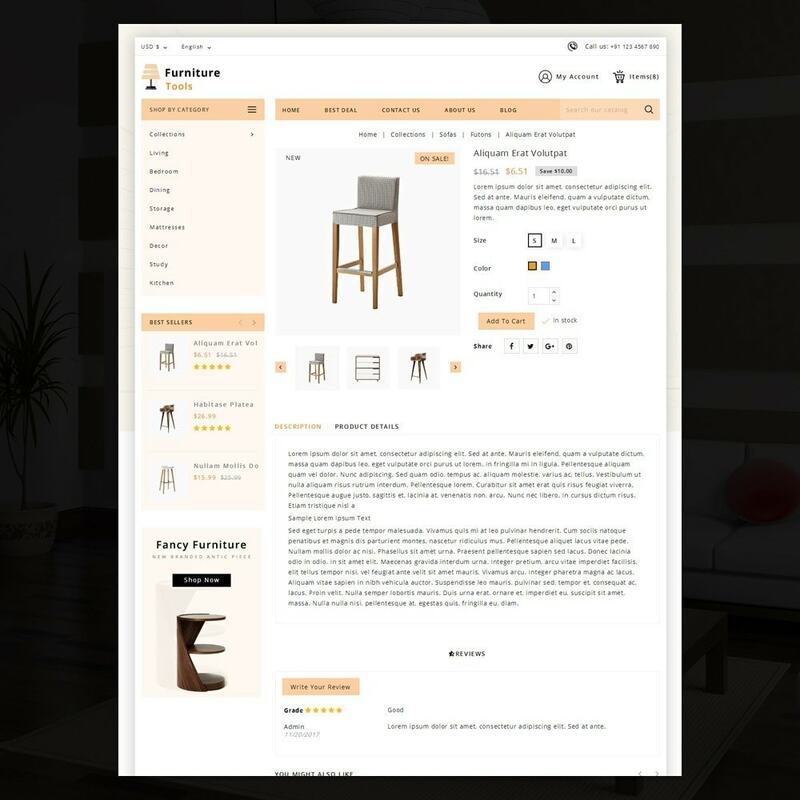 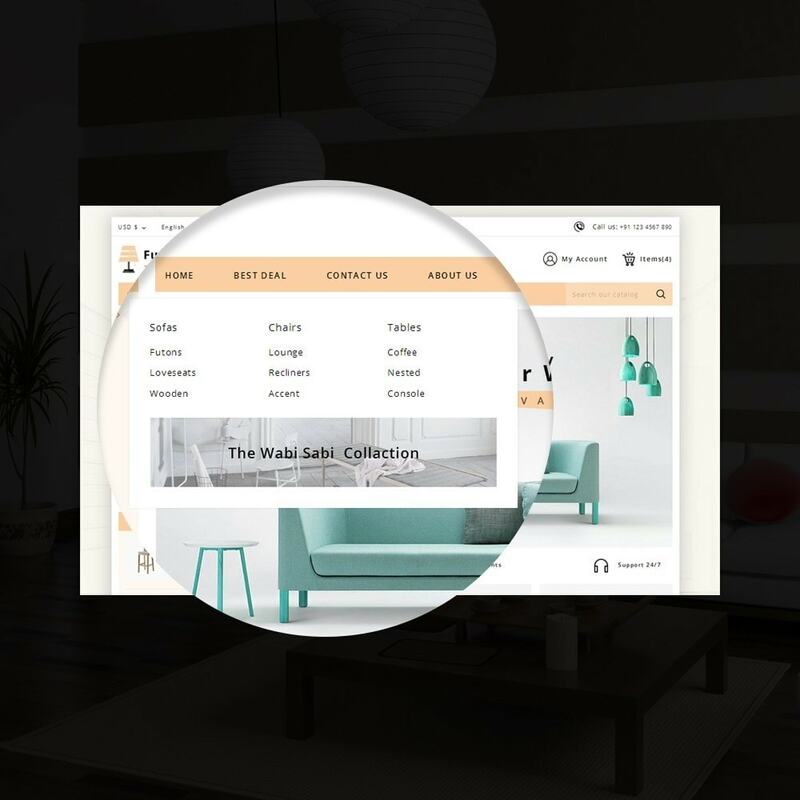 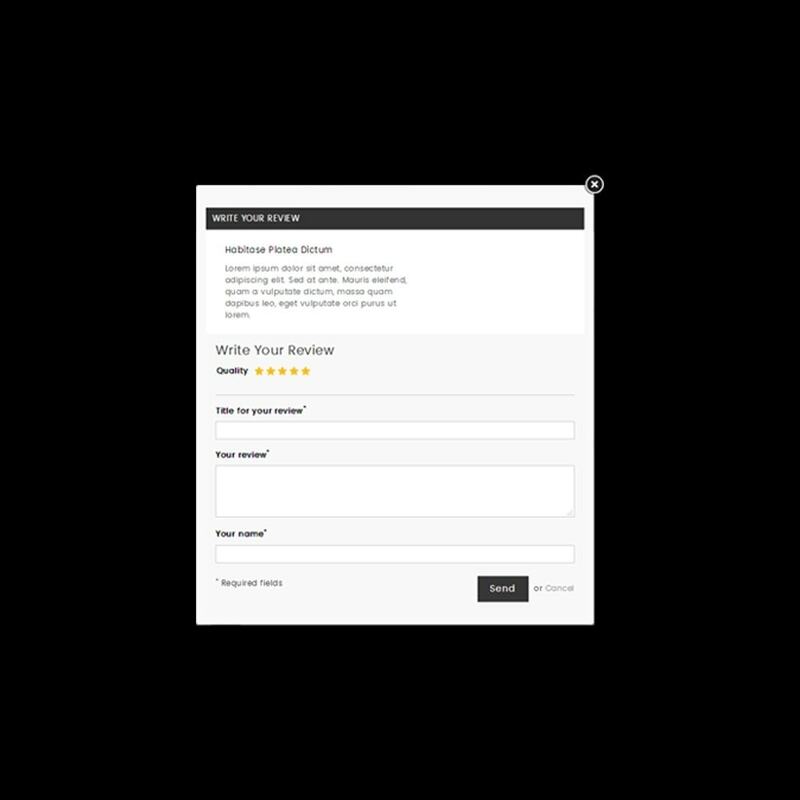 Furniture Tool Prestashop Responsive Theme is designed for furniture, home decor, tools, home accessories and multi purpose store. 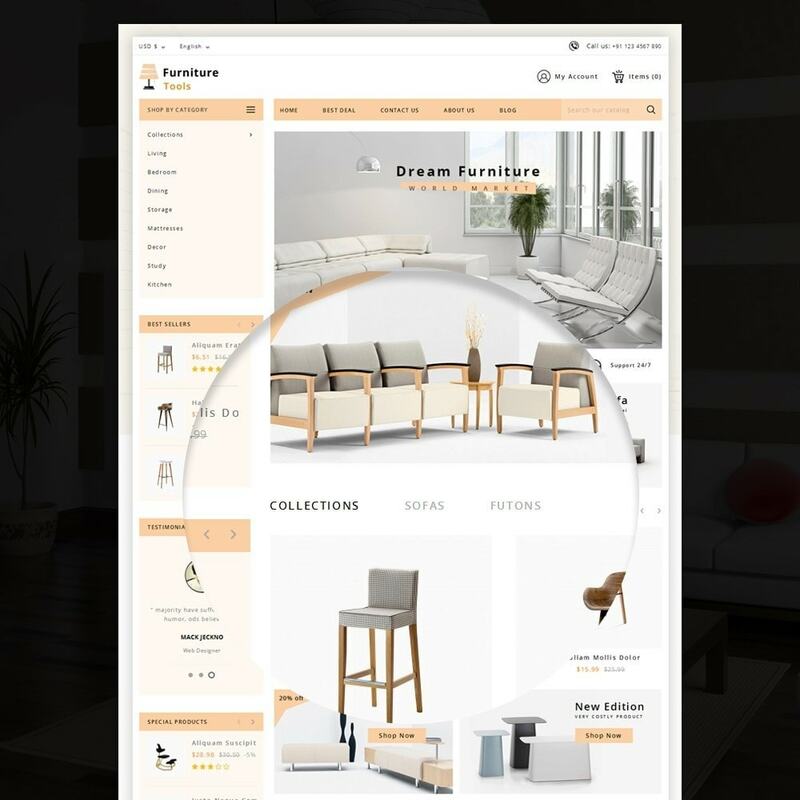 It looks good with a combination of colors and very nice with its clean and professional appearance. 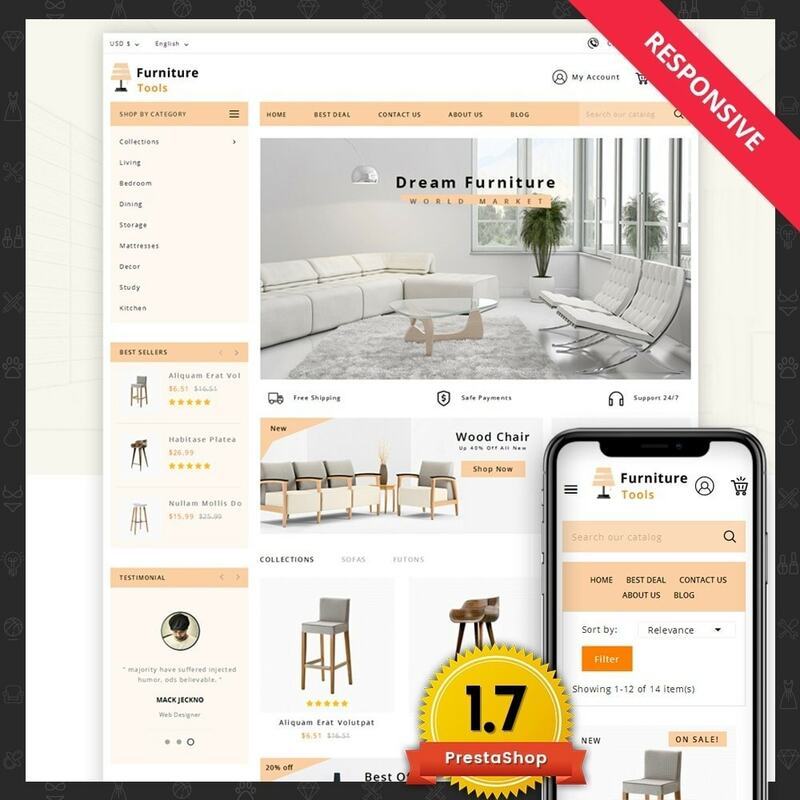 Furniture Tool Prestashop Responsive Theme is designed for furniture, home decor, tools, home accessories and multi purpose store.